Let's cut right to the chase here: there is definitely an over-saturation of pumpkin-spiced things on the market this fall. 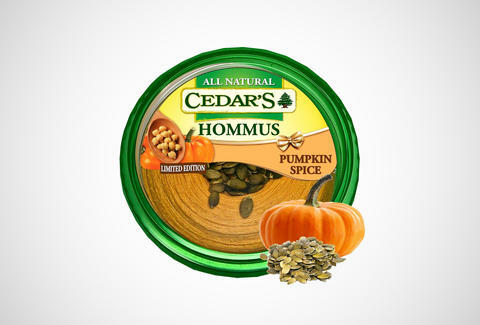 So much so, that you can chalk up Middle Eastern snack retailer Cedar's limited-time release of Pumpkin Spice Hummus as one of the less egregious uses of the most galvanizing gourd on Earth. The hummus contains the standard formula (chickpeas, tahini, garlic, etc.) in addition to -- of course -- the usual fall flavors of pumpkin, cinnamon, and nutmeg. It's even got little pumpkin seeds on top, so you can eat pumpkin while you eat your pumpkin. Man, Xzibit's going to have a field day when this season's over. 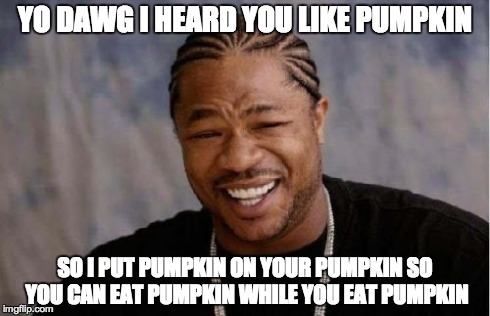 Adam Lapetina is a food/drink staff writer, and forgets what a real pumpkin tastes like. Read his musings on Twitter at @adamlapetina.